Prior to commencing pupillage in September 2010, Shona spent 3 years working as a freelance advocate and received regular instructions from solicitors to attend county court throughout the North East in a wide variety of civil matters. 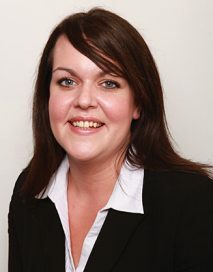 Shona successfully completed a general common law pupillage under the supervision of James Brown, Andrew Walker and Michelle Temple, from September 2010 to September 2011 when she was elected as a Tenant in Chambers. During her first six months she gained extensive experience across a wide range of chambers’ disciplines including, family, crime, civil, commercial chancery and employment. In her second six months of pupillage Shona developed a busy practice covering all aspects of Chambers’ work. Shona was also a Finalist in the Louise Godfrey QC Memorial Mooting Competition, North Eastern Circuit, 2011. To date Shona has gained a wide range of experience in both public and private law cases and has frequently had conduct of contested one day and multi-day matters in both the County Court and Family Proceedings Court. This has included representation of the Local Authority and Guardian as well as representation of parents and interveners. Shona has also frequently been instructed in a variety of private law matters including contested contact and residence applications and contested injunction applications (non-molestation, occupation and specific issue injunctions). Shona has regularly appeared in the County Court on small claims, infant approval hearings, pre-action disclosure applications, insolvency matters, fast-track trials and multi-day multi-track trials. Cases to date include personal injury; credit hire; contract claims and proceedings brought under the Protection from Harassment Act 1997. Shona has also been instructed on behalf of the Claimant and Respondent in a number of Employment Tribunal matters. Shona has frequently appeared for both the Prosecution and Defence in Magistrates’ Courts and has regularly been instructed to appear for the Probation Service and Youth Offending Team in the Crown Court.